Les figurines sont identiques a la photo. Elles sont tres mignonnes et seront parfaites sur la piece montee. 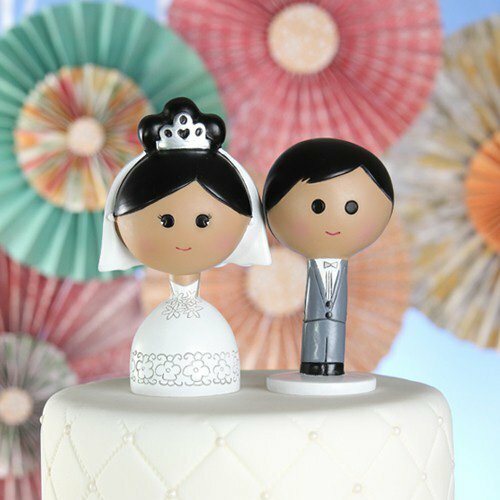 For the cutest in wedding cake fashion, nothing beats this Kokeshi cake topper. 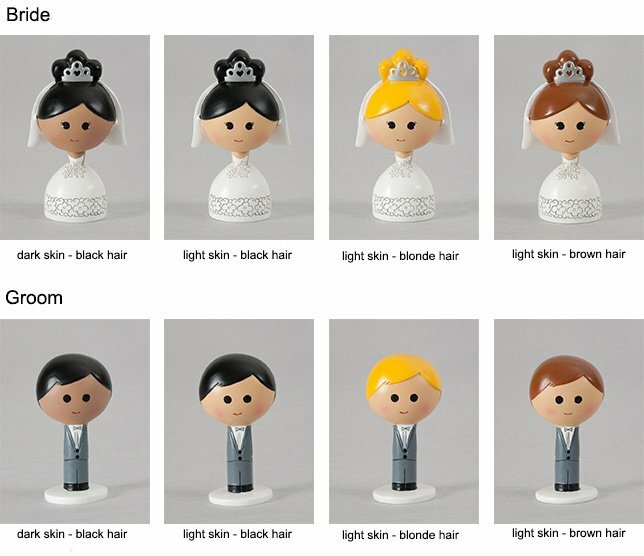 Inspired by traditional Japanese Kokeshi hand-painted wooden dolls, these adorable toppers are available in four different ethnicities. Simply choose the best bride and then the best groom to perfectly match you both. Dolls have magnets at the bottom to perfectly fit to the scalloped-edge magnetic base.